High speed switching transistor development; designed and fabricated fastest device in the world at that time, 5 nanoseconds; also, x-ray and spectrographic analyses of crystallographic defects in Si; Awarded two patents. Key responsibilities for design and implementation of IBM’s corporate planning process and the plans themselves. At Hudson Institute: A “Think Tank” that conducted a wide variety of classified studies for the DoD and other agencies involved with national security - including nuclear warfare strategy; CBR (chemical, biological and radiological) warfare; asymmetrical and unconventional warfare; terrorism; and counterinsurgency. Headquartered, Croton on Hudson, NY; other offices in Washington (DC), Paris, Tokyo, and Montreal. Joined as Senior Member, Professional Staff – Specializing in future applications of computers and communications in various national security environments. Had contract with DARPA to develop certain capabilities of the DARPA-net, the precursor of the INTERNET; plus other projects. Elected President and served for five years, including role as Chief Security Officer, and devoted appreciable time to proposal writing and review as well as research and field work. After resigning from the Hudson Institute, spent the rest of career in intelligence and national security affairs in the U.S. and abroad, including many months per year in People’s Republic of China for 15 years, from 1982 to 1997, as well as other overseas locations. Non-classified publications include articles in I.E.E.E. Electron Devices Journal; NY Times featured Op-ed Article; Harvard Business Review; Columbia Journal of World Business. Numerous classified lectures on subjects including nuclear proliferation, strategic non-fuel raw materials’ geo-political vulnerabilities (to Joint Chiefs of Staff, DoD), plus other venues including the U.S. Army War College, the Naval War College, and Strategic Air Command (SAC) headquarters, Offutt Airforce Base, Omaha. Also lectured at Harvard on Defense Planning, Procurement and PPBS. 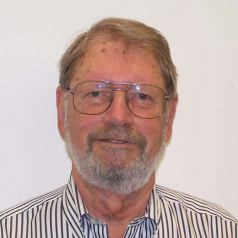 Member, Ends of the Earth (honorary organization of Sr. military & intelligence officers); American Physicists Society; Elected a Fellow, The Explorers Club (1980); Harvard Faculty Club; Board of Advisors, Organization for Tropical Studies (Headquarters, Duke University, with research stations in Costa Rica, Brazil, South Africa); Former Trustee and Member of Program Committee, H. F. Guggenheim Foundation (funds studies of dominance, aggression and violence); etc. Expeditions to North Geographic & Magnetic Poles; Descended 8,500’ to mid-Atlantic Ridge off Azores in Russian MIR-2 manned deep submersible to study biodiversity of hydrothermal vent fields; retraced Shackleton nd Franklin expeditions in Antarctic and Arctic; etc.